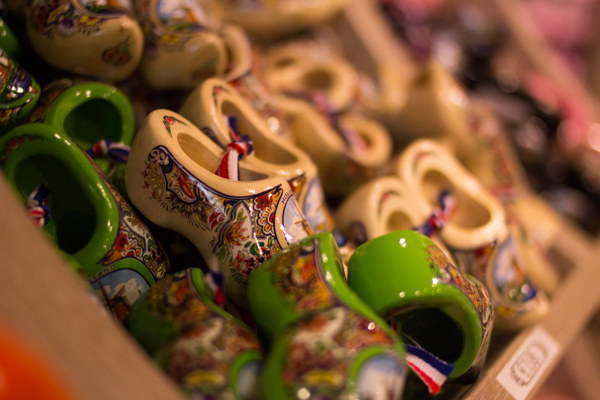 Traditional Dutch souvenirs… the Marken clog factory. Amsterdam is a beautiful and vibrant city, and the average tourist could be forgiven for never leaving its’ limits on a trip to the Netherlands. 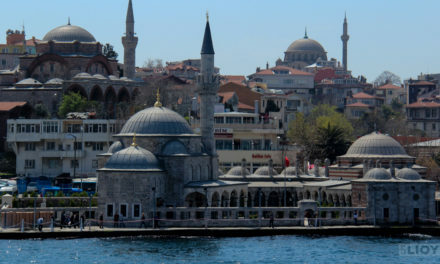 This multicultural capital of the country is certainly the place to see tolerance to drug consumption and legalized prostitution and world-class museums and unfathomable amounts of herring consumption. Amsterdam is not, however, the last word in Dutch culture. If possible, you should make an effort to get out of Amsterdam for a day or two and see some of the rural bits of the Netherlands as well. Leaving the village of Volendam. 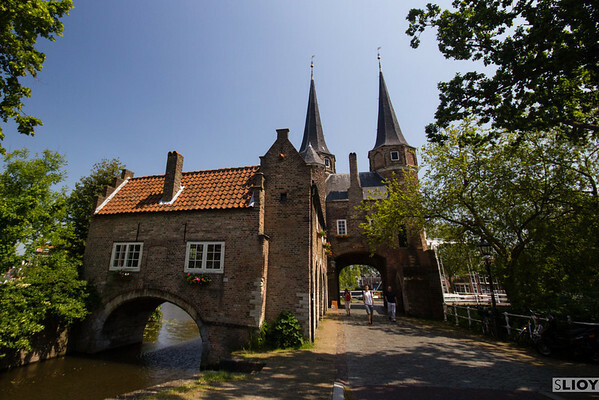 Just a little over 9 miles from Amsterdam, the town of Naarden and its 17th century fortress is a great day trip for travelers who have decided to use a bicycle in Amsterdam. Despite its proximity to the capital, the small population and self-defined limits of Naarden’s fortified center make exploring this quiet area feel both adventurous and easy. If you’d prefer to avoid the cycle trip from Amsterdam, trains reach Naarden from Amsterdam Centraal in around 20 minutes. 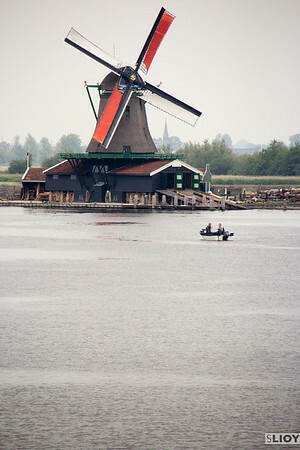 If you’ve come to the Netherlands expecting windmills, Zaanse Schans is the place to find them. There are still eight windmills scattered throughout Amsterdam itself, but here you’ll find the same number lined up along one short stretch of the Zaan river. This is a sharp decline from the 600 that used to power the area’s industrial production, of course, but still one of the top places in the country to get your windmill fix. To visit from Amsterdam, look for bus 391 leaving every half hour from Centraal station. Alternatively, the windmills are about a mile from the Koog-Zaandijk train station. Wooden houses in the fishing village of Marken. These two towns have very distinct histories, only really brought together by the enclosure of the Zuiderzee to prevent flooding in 1932. Since then the two have become increasingly popular as tourist spots showcasing the ‘traditional culture’ of the Netherlands. 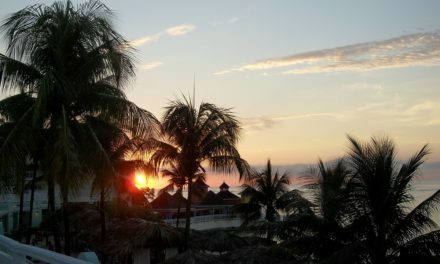 Though both grew primarily as fishing villages, they have remarkably different atmospheres and both make for interesting wandering. The smaller of the two, Marken, was once an island in that same ‘South Sea’ until connected by bridge to the mainland. 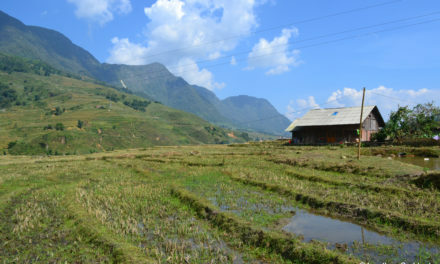 Other than a modern supermarket just outside of town, the area is still primarily built in the traditional style. Tour groups pass through here just long enough to stop in for a demonstration at a wooden shoe factory and then speed through town to the ferry, but you should try to plan a bit more time to wonder through the village and out to the lighthouse on a small strip of land that extends into the Zuierdee. Volendam, though significantly larger than Marken, is perhaps the less interesting of the two for exploring historic culture. The high street that runs along the harbor is quite touristy but the small lanes just inside here are extremely pleasant in either direction. Once again, tour groups pour into town and head straight to the cheese factory for demonstrations. Prices are generally better in Amsterdam, so unless you expressly want souvenirs from Volendam try to avoid buying anything here on the main drag. Once you’ve made it past the cheese factory, spend some time walking through the narrow alleyways and over the small cantilever bridges of the compact center before continuing back to Amsterdam or on to Edam. To reach Marken, bus 311 connects the back side of Amsterdam Centraal to the bus parking lot just outside of Marken. 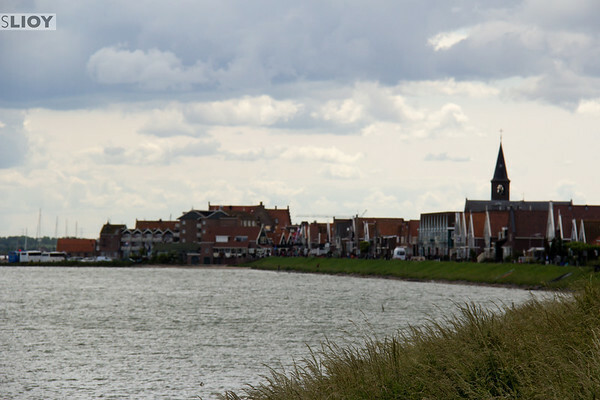 To go directly between Marken and Volendam, a ferry operates between the two harbors between 11:00 and 18:00 from March through October. 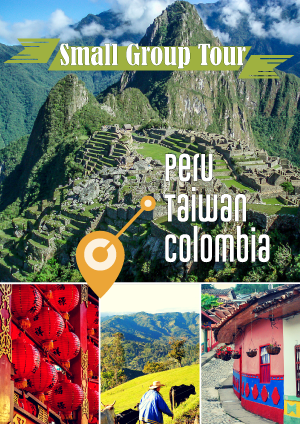 The trip takes around 45 minutes. If this is not functioning, bus to the village of Monickendam and switch there for lines that connect to Volendam. From Amsterdam busses 110, 118, and 316 go regularly to the ‘Vissersstraat’ stop in Volendam. In the other direction, these continue on to Edam a short distance away. Buying cheese at the Alkmaar market. The Alkmaar and Edam Cheese Markets might be a little (dare we say?) cheesy, given that they operate now primarily as a tourist spectacle rather than as functional markets. Dutch men in traditional costumes run around carrying large pallets of cheese and girls walking around offering samples of local products for the crowd to try (and eventually buy, seemingly in great quantities). These markets are quite photogenic and since they operate for only a few hours in the morning will leave the afternoon free to explore the small towns where the markets are held. 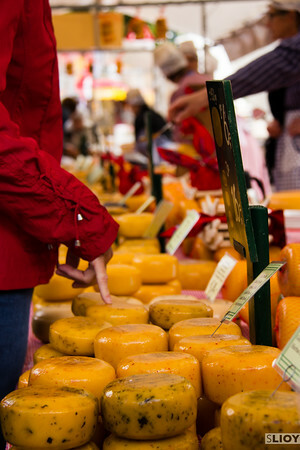 The Edam Cheese Market operates Wednesdays in July and August from 10:30 to 12:30. From Amsterdam, busses 110, 118, and 316 go to Edam (and visit the fishing village of Volendam en route). From Edam, consider walking about an hour along the ‘Zeedijk’ waterfront path to Volendam. 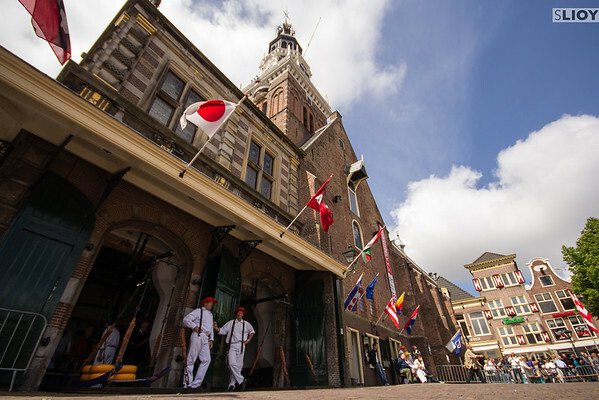 The Alkmaar Cheese Market is held on Fridays from 10:00 to 12:30 from April through August. Trains depart frequently from Amsterdam to Alkmaar. Cheese market in central Alkmaar. Unless you can claim a pottery-loving grandmother, the name Delft generally doesn’t have much significance to non-Netherlanders. 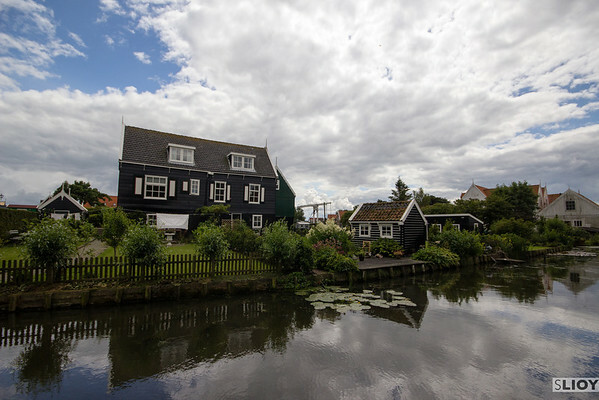 If the other daytrips on this list play to Dutch stereotypes – windmills and cheese and bicycle trips and fishing villages – Delft is the exception. This small town is about an hour by train from Amsterdam, yet feels more like a university town than a tourist attraction. The small streets and canals are still lined with old Dutch East India Company Warehouses and churches from the 1200’s and even a bit of the former City Walls, though of course you can also visit the Delftware pottery factory if it really calls to you. More than anything, though, this is a place to see the Netherlands away from the tourist crowds. Delft is an hour by train from Amsterdam, and many will stop at the Hague en route if you want to visit there as well. If you don’t want to make the trip, Haarlem is a more popular destination for tourists only 15 minutes from Amsterdam. Delft’s old City Gate, now a small garret and art gallery. Have you spent time traveling in the Netherlands? What were your favorite daytrips from Amsterdam? Leiden is only 30 minutes away from Amsterdam, you can stop at Haarlem first, then go to Leiden. A small university city, very beautiful! Studied there for six months some years ago and it’s one of my favourite places! 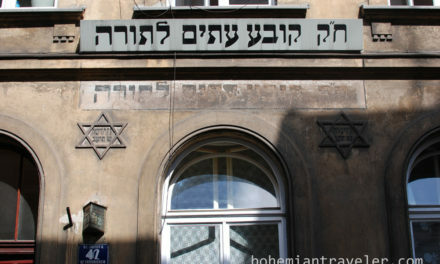 I’d actually had that on my list of places to check out, but ran out of time before I got there. I’ll try to make a trip over there next time I’m in the Netherlands!